I’ve recently been working on an exciting new feature for LoopBack4 which would allow for the readily available generation of JSON Schema for your LoopBack4 models. I’ll dive right into it. Currently with LoopBack 4, a model is a way to represent data, such as Customer and Order, handled by the framework and is implemented as TypeScript classes. 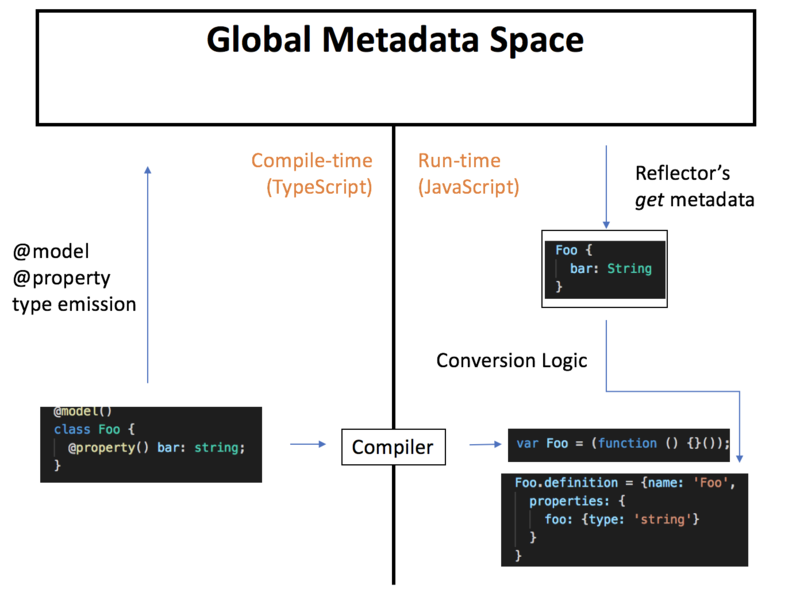 One useful feature of TypeScript is its experimental decorators which are able to infer property types of a class at compile-time and store them as metadata. We are putting this feature to use with @model and @property decorators from @loopback/repository package to make their decorated classes’ metadata available. This design choice allows us to create model definitions used by LoopBack 3’s legacy juggler just out of TypeScript classes. Taking advantage of the property type metadata available to us through these decorators, we’ve created the @loopback/repository-json-schema module so that we can use the same metadata as a base to build a JSON Schema representation of the model. A great feature LoopBack3 had was the painless conversion of LoopBack models into OpenAPI spec through loopback-swagger module. Internally, this module was used by the API explorer for LoopBack 3 applications, offering what was essentially a summary of the application’s working pieces. Similarly, @loopback/repository-json-schema offers standardized representation of LoopBack4 models in the form of JSON Schemas. This means a LoopBack 4 model is free to be manipulated outside of the framework and is made to be compatible with a wide range of tools that use JSON Schemas as their standard. And there you have it! A JSON Schema of your model you can use for anything your heart desires! For more information on model decorating specifics to get the correct JSON Schema, visit http://loopback.io/doc/en/lb4/Model.html. When an application using our RestServer is run, a routing table is built for routes defined in the controllers registered with the application. As these routes get registered, the @param decorator infers the type definition of the parameter of the route and notices that it’s a LoopBack model. A JSON Schema is then generated and cached for the model and then converted into OpenAPI spec definition. The completed schema is made available at /openapi.json endpoint when the application is running. As of moment at the time the blog is written, TypeScript’s pseudo-reflection system only emits primitive and custom type information, meaning information about things like union types and optional properties are lost after compilation. In order to preserve this lost information, it has to be explicitly passed into the decorator to be preserved. There’s more support coming for making it easy to add in top-level metadata to JSON schema, so please stay tuned for more updates!